California Fuchsia is one of few plants found blooming in late summer and fall. Its bright red flowers are up to 2 inches long and an inch wide. 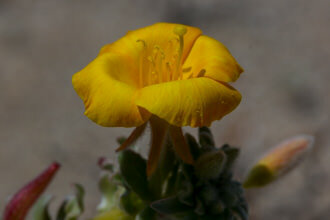 They have a tubular or funnel shape, with a slight bulge at the base. 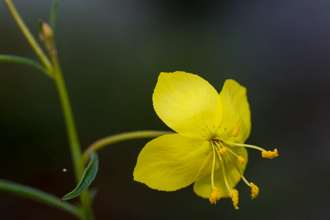 The stamens and style extend considerably beyond the flaring ends of the 4 petals and 4 sepals. The flowers appear at the ends of short stems and cluster along the many branches of the plant. Seedpods appear with the flowers and contain many seeds. 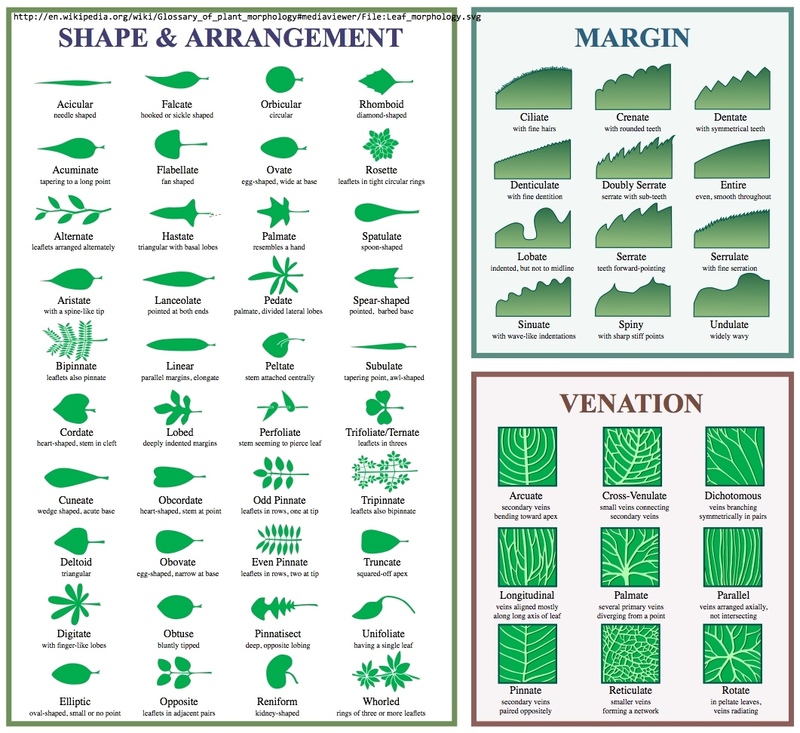 Foliage consists of alternating or opposite gray-green leaves, slightly hairy, each lance-shaped or ovate about 1 inch long and half as wide. The base of the plant is often woody and the stems are hairy. The plant propagates either through seedlings or underground rhizomes. 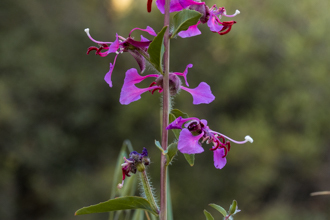 California Fuschia blooms from July through November, long after most other native plants have finished. This makes it an important food source for creatures like hummingbirds, for which the tubular shape of the flowers seem designed, and also certain bees that drill holes through the petals to reach the nectar. Epilobium canum is sometimes divided into subspecies. Epilobium canum ssp. latifolium has broader leaves and is the variety more often associated with the common name California Fuchsia, while Epilobium canum ssp. canum often refers to Hoary Fuchsia, which has smaller leaves but otherwise looks very similar to the latifolium subspecies. Further confusing matters is that these plants were formerly classified in the genus Zauschneria. 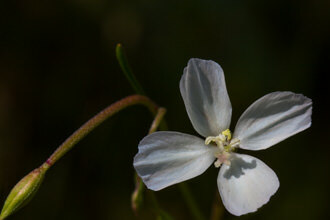 The genus name Epilobium translates to "upon a capsule", meaning the flower and seedpod appear together. 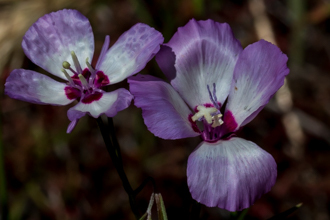 The species name canum means ash-colored and hoary, and latifolium means wide-leaved. Zauschneria is after an 18th century German botanist named Johann Baptista Josef Zauschner. Their brilliant color, off-season blooms, drought-tolerance and attractiveness to hummingbirds make these plants agreeable choices for gardeners. Cultivated varieties come in other colors besides red - pink and white are common.